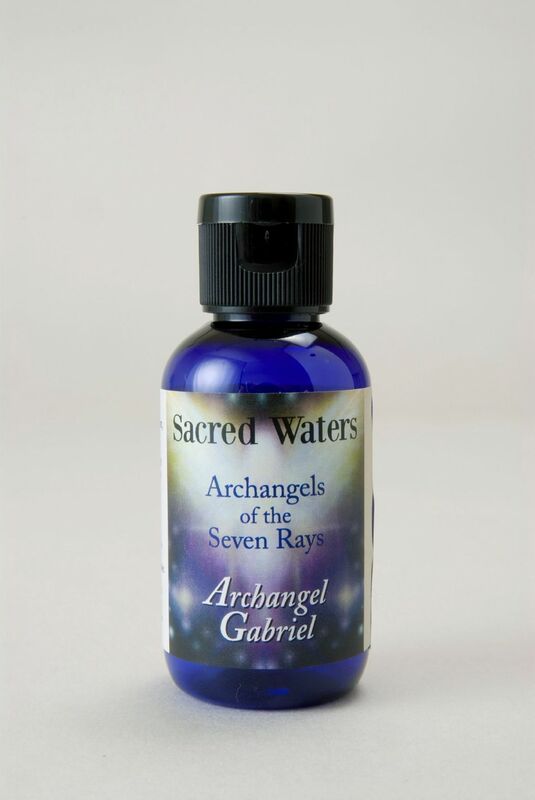 Embrace the enchanting energy of the Sacred Waters of Archangel Gabriel who serves on the white ray of purification, clarity and understanding. Embrace the enchanting energy of the Sacred Waters of Archangel Gabriel who serves on the white ray of purification, clarity and understanding. He illuminates our spiritual pathway and brings messages via dreams and divine revelation. He is often called the Angel of Annunciation as it was he who appeared to Mary to tell her of the immaculate conception. A magical formula containing the aroma of Bergamot, Geranium and Rosewood. Floral Water. Holy Water. Gem Essence of Apophyllite.